What's better than curling up with a nice hot drink and a cat purring on your lap? For people who don't have a feline of their own to snuggle with at home, cat cafes offer the perfect opportunity for feline friendship in a relaxing setting. This novel idea, which originated in Japan, has made its way stateside, offering cat companionship to those who can't keep cats in their homes or don't yet have a pet. Best of all, many of these innovative cafes serve as dual-purpose cat hangouts and adoption centers, allowing patrons to chill out with a cuddly kitty and even take one home to keep should they choose. The following two cat cafes are prime examples of the concept in action in the U.S. 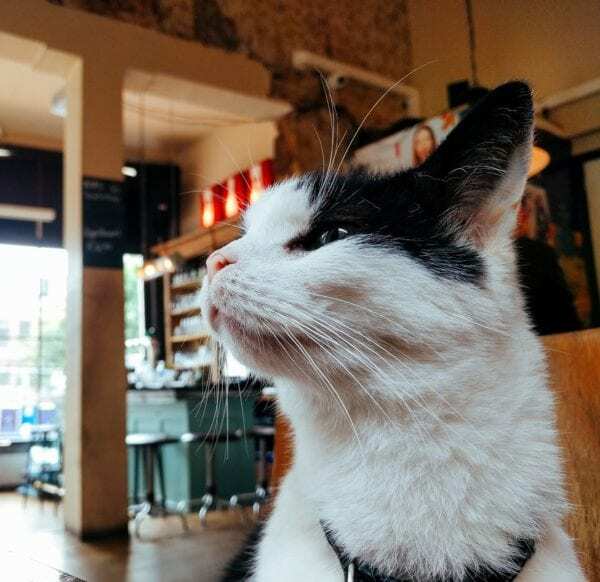 If you live near any of these locations, pay a visit so you can meet some cats and contribute to the rescue missions these cafes support. You may even meet your next family member while you're at it! After the success of these cafes, new businesses operating under a similar model are opening up across the country, so stay on the lookout to see if a cat cafe is opening near you.